Apple will offer Macs equipped with an ARM processor, the same silicon used in the iPhone and iPad, an analyst said, calling the move "inevitable" because of the company's emphasis on security and encryption. "If Apple truly wants to bring their security philosophy to their products in every part of the ecosystem, they must also do what many predict and make A-series processors for Macs," said Ben Bajarin, an analyst at Creative Strategies, in a piece posted to Tech.pinions Tuesday (subscription required). "[Apple] has convinced me even more [that] A-series processors for Macs are inevitable." Apple's in-house-designed system-on-a-chip (SoC), which powers the iPhone and iPad, are labeled Ax, such as the A9 inside 2015's iPhone 6S and 6S Plus, and this year's iPhone 5SE. A variation of that SoC, the A9X, powers the iPad Pro line. Bajarin's prediction was based in large part on a technical briefing Apple held with a small number of analysts last week. During the briefing, Apple focused on security and encryption - a topic that has put the company in the crosshairs of the US government over accessing criminal suspects' iPhones -- by explaining the integration between the 64-bit A-series silicon, the iOS operating system, and the "Secure Enclave" co-processor. In an interview today, Bajarin characterized Secure Enclave as the "heart of every bit of encrypted information" on an iPhone or iPad. The co-processor makes possible everything from secure boot and file encryption to its best-known task, processing the fingerprint data from an iPhone's TouchID scanner to authenticate the user for unlocking the device and authorizing electronic payment via Apple Pay. "Secure Enclave sits in the middle of making all secure bits secure," said Bajarin. "The more I look back on that, it's clear that Secure Enclave plays a much larger role than we have given it credit for." Apple, not surprisingly, has divulged few technical aspects of Secure Enclave, which it introduced with the iPhone 5S in 2013. When it rolled out that model, it said only that "all fingerprint information is encrypted and stored securely in the Secure Enclave inside the A7 chip on the iPhone 5S." In September 2015, Apple posted a security white paper that included a few more details of Secure Enclave. Bajarin didn't limit his analysis to Secure Enclave, but instead pointed out the top-to-bottom control that Apple maintains over security on its devices. It crafts the A-series silicon and the Secure Enclave co-processor; it develops and maintains iOS: nothing is off the shelf, and it relies on no outside party. "Security in all of its facets is being thought through every level of the product," Bajarin said in the interview of Apple's approach. "It's built from the ground up. Out of everyone out there, Apple is above and beyond on security." But if security is at root a critical component of Apple's strategy, Bajarin argued, it surely must expand from the iOS platform to the Mac. That's where ARM, the processor architecture that Apple's SoCs are based upon, comes in. "OS X has its own security story," Bajarin acknowledged. "But given the narrative Apple's trying to tell and how much time they've spent on this philosophy, if they're serious about security they need to bring it to every bit of their product line." 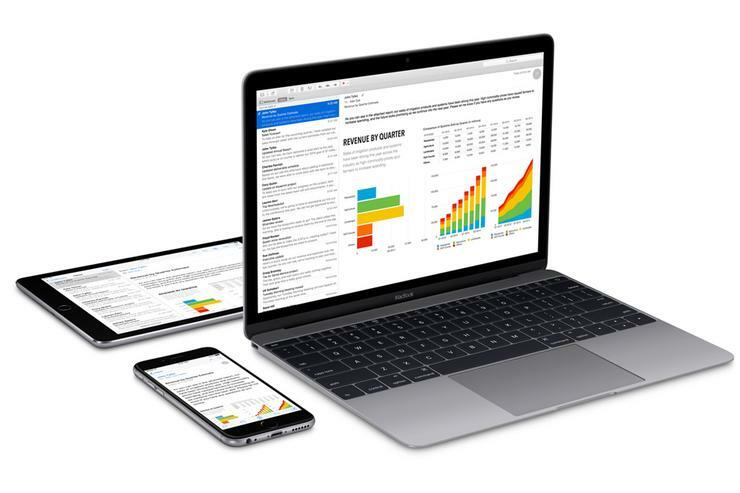 To accomplish on the Mac what it's done on the iPhone, Apple would have to abandon Intel as its processor supplier, and use its own A-series SoC and Secure Enclave. In turn, that would mean OS X would be discarded, at least for those Macs equipped with ARM-based silicon, and replaced by iOS itself or a variation of the operating system. Apple's emphasis on security and encryption, and how they are implemented in the iPhone by Apple's customization strategy, said Bajarin, made it clear: "It signals that it's inevitable that they will do the same for all the products that they can," he concluded. Bajarin published an initial analysis of Apple's security strategy Monday; unlike yesterday's piece, the first can be read free of charge.